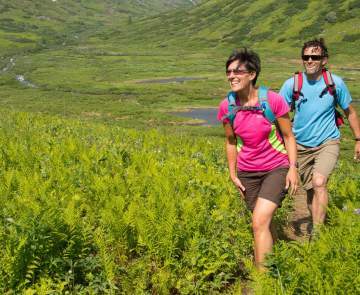 The Government Peak Recreation Area in Hatcher Pass is an ideal getaway regardless of season - activities abound in both summer and winter. In 2012, 6.5-kilometers of world-class Nordic skiing trails were established in the 8,060-acre recreation area, designed by former Olympian Bill Spencer. There are long and short loops in the new system, giving visitors a number of options. 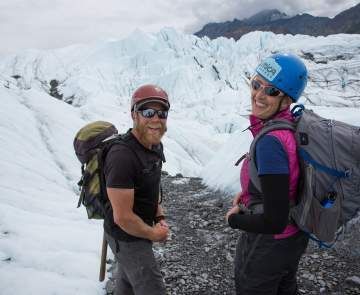 Snow falls here first and stays the longest in all of Southcentral Alaska, making the skiing and snowshoeing season the longest and most productive of anywhere in Alaska. 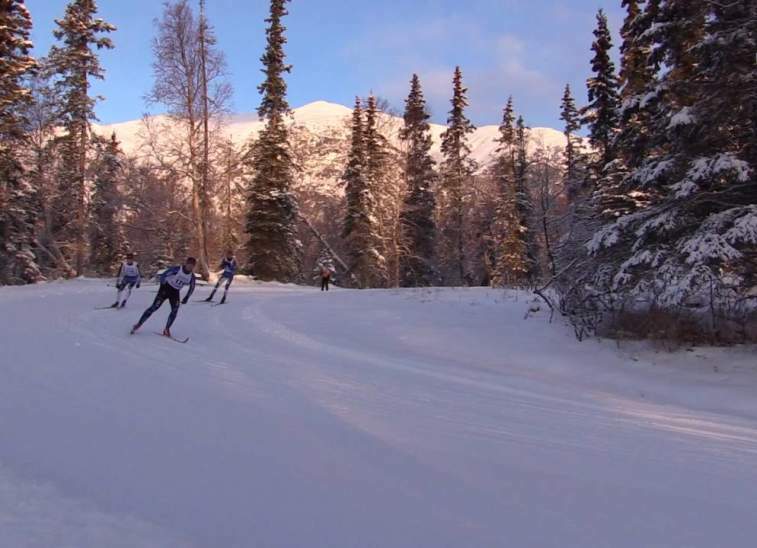 Nestled in the Talkeetna Mountains, the Nordic facility is world class and is a training ground for current and future Olympians. The trail system is very inviting for novices as well. There isn&apos;t a more scenic place to ski - views of the rugged peaks and the Valley below give breathtaking winter vistas. In 2014, a new 4,000-square foot Adventure Center was completed, serving as a transportation hub for the area and also a warming area for winter visitors. With in-floor radiant heat and vaulted ceilings, the facility also serves as a meeting facility for community groups. In the summer months, the area offers spectacular hiking and mountain biking opportunities for outdoor enthusiasts. Further up Hatcher Pass Road, Independence Mine State Historical Area is located, making the area an ideal way to spend an entire day. 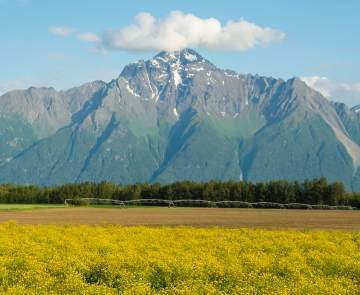 The Government Peak Recreation Area is easily accessible - it&apos;s just 10 miles outside of Palmer and Wasilla. 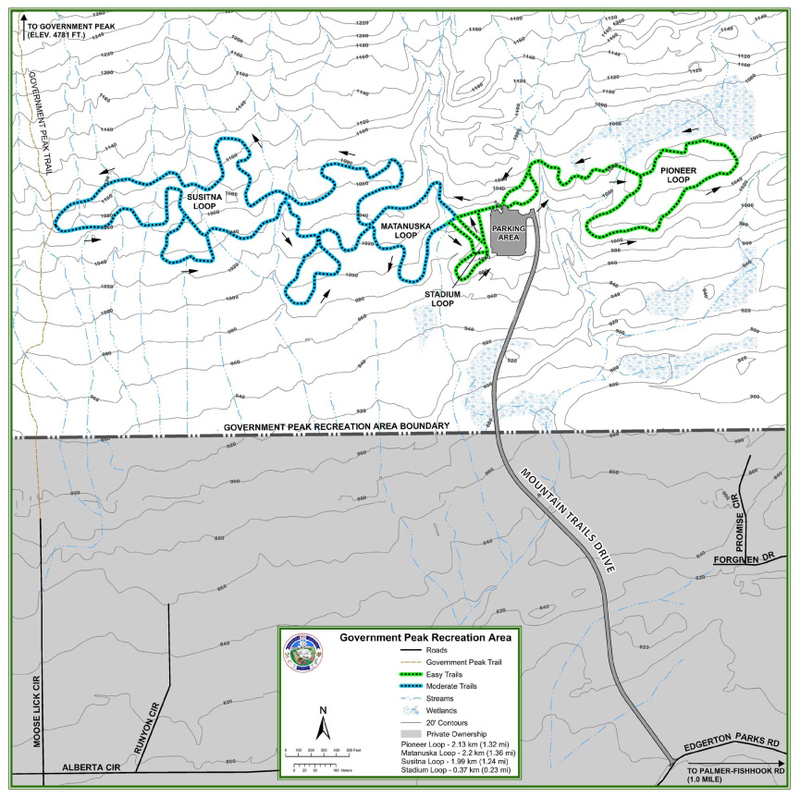 Click here for a map of the Government Peak Recreation Area trail system.